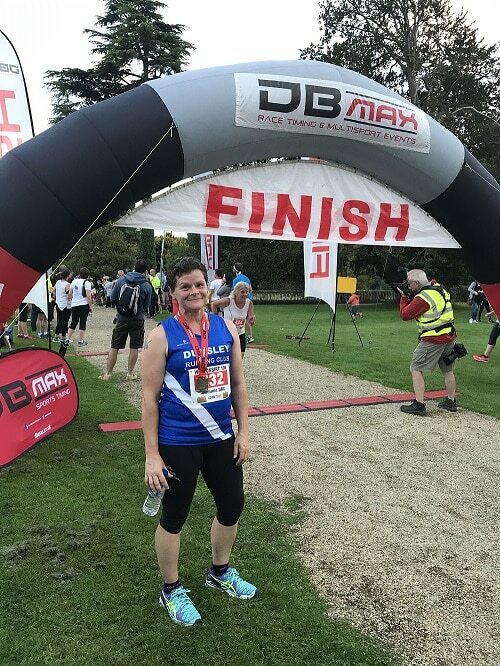 This week it’s Samantha Evans who took part in the Westonbirt House 10K with us. ‘The big C hit me totally off guard. A happy healthy single mummy to a wonderful two year old, a well accomplished staff sergeant with 19 in the British Army on the brink of commission as a late entry soldier. In Feb 2015, a small area of tissue felt different, on visiting the doctors I was told it was nothing to worry about so I left it. By August 2016 it was still there so I pushed for a referral to the Thirlestaine clinic in Cheltenham. A few days later my world fell apart. After an ultrasound, mammogram and a few biopsies I was told I had to wait for the official results but I would start my care program in my next visit. I sat in the car and cried. Would I get to see my beautiful daughter go to school? How do I tell my family and friends? Three weeks later I was called back for my results. My surgeon was the one to tell me and she was amazing. Judged me perfectly. She was straight talking and had my plan for treatment all ready. Within the week I started chemotherapy and the long road to recovery. Chemotherapy was awful, but every time it got painful or too much I would remind myself that it would all be worth it. And it was now in Aug 2017, after 6 rounds of chemotherapy, a full mastectomy and rebuild and 3 weeks of radiotherapy I am back out running and enjoying life.